Hello from Europe! It’s been a few weeks since my last post but that’s because I’ve been traveling around Europe in a part-holiday/part-professional frenzy. Now that I’ve seen quite a lot of 3D printing it’s about time I put together a bit of a summary for you, in case you find yourself looking for some nerdy escapes when you’re next in Europe. One of the best things I organised was a private tour of the Materialise headquarters in Leuven, Belgium, which you can see photographed above. This is the company responsible for 3D printing my bicycle, and indeed the primary reason for my trip, but more on that shortly. Unfortunately I don’t have any other photos since everything is top secret once you walk through the doors – not surprising since they are responsible for developing many of the latest technologies in the industry. I was shown facilities like the finishing room where prints were manually cleaned and polished for certain projects, the SLS room full of different sized machines printing polyamide, the SLA room where my bike was actually printed, and the MGX display room full of many well-known 3D prints (click on the link to see many of these designs). Very cool to see what actually happens once you upload a design and click the order button on the i.materialise website. The lamps in the right image are called the Tulip Lamp by Peter Jansen. I then jumped across the border to Eindhoven in the Netherlands to visit Shapeways, the other large 3D printing company who I regularly use for 3D printing, and have been using since 2010. A totally different vibe! Whereas Materialise are very research-driven and the facility is quite clinical, walking into the Shapeways foyer (pictured above) was similar to what I imagine Google to be like – an open-plan space with communal kitchen and glass-walled offices, music playing, bright colours and a foosball table. Once again when we walked through the “portal” in the middle image photos were not allowed, but we saw some very similar equipment and processes to Materialise. This is a great tour to do since it runs on the last Friday of every month, you don’t need to know someone and arrange a tour yourself – just follow this link to their Meetup site for dates and times. You also get a nice little keyring souvenir (above right image), and can hang around to chat to the team and have some nibbles. Surprisingly I came across 3D printing in some very unplanned places – firstly this “Filament Pavilion” at the V&A in London, which will be there until November 6th 2016. Talk about a massive 3D print, this structure is still growing each day! Basically this is a cross between 3D printing and weaving, with a giant robotic arm wrapping filament around preformed hexagonal structures, each time in a different pattern based on sensor data. It certainly shows how this technology can be applied to Architecture, it seems to be quite lightweight and delicate unlike most of the concrete-based 3D prints I’ve normally seen in Architecture which use extrusion and seem very rough both in finish and detail. Another museum and some more 3D prints which I was not expecting to see – this time the Stedelijk Museum in Amsterdam. On the left are a couple of the 3D printed ceramic pieces by Olivier Van Herpt, definitely the coolest ceramic prints I’ve come across and quite large in scale. I really like how the layers are actually celebrated in these prints and create a unique textural element to the pieces. Worth looking at the link to his profile for more details about how he created his own ceramic 3D printer. On the right are some full-sized chairs 3D printed by Dirk Vander Kooij, again created with a custom made 3D printer and printed from recycled plastics. 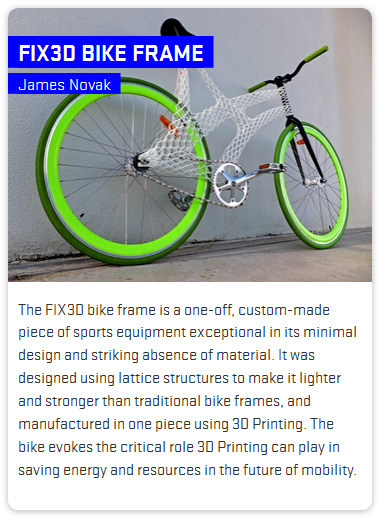 It really does seem like 3D printing is everywhere! Now that my head is full of fresh inspiration, time to head home and ramp up the work on my latest projects. Make sure you subscribe to my blog to keep up with the latest 3D printing experiments and behind the scenes insights. Which sounds better? 3D printed wood, or 3D printed ABS plastic? On first impressions it’s definitely a fragile material, a bit like something between MDF timber and an egg carton. The graininess can be rubbed off like sand, and you can already see one of the dots in the ‘i’ has broken off. But it smells really nice, I just can’t quite put my finger on what it reminds me of. But definitely very wood-like. For those wanting to print one yourself, the plastic version is freely available for you to download from my Thingiverse or Pinshape profiles. This wooden one is slightly different to meet the requirements of the printing process, but I may add this to the i.Materialise shop very soon so you too can enjoy the natural sounds of timber. It was a while ago now that I first 3D printed a phone amplifier and stand, sharing my design on Thingiverse (see the original design and video here). Well after seeing i.Materialise’s new wood material, and a competition to launch it, I just had to bring it back! What could be more cool than a 3D printed wooden amplifier, mixing the old-school with the new-school? It did take some work to modify the original design to meet the criteria of the wood material, including thicker wall sections and more exaggerated details, and you can see the render I submitted above on the right. The final print from i.Materialise on the left looks awesome, I’m looking forward to hearing it play music when it arrives – I’ll have to post a video comparing the sound of the wood vs. plastic versions, so watch this space. 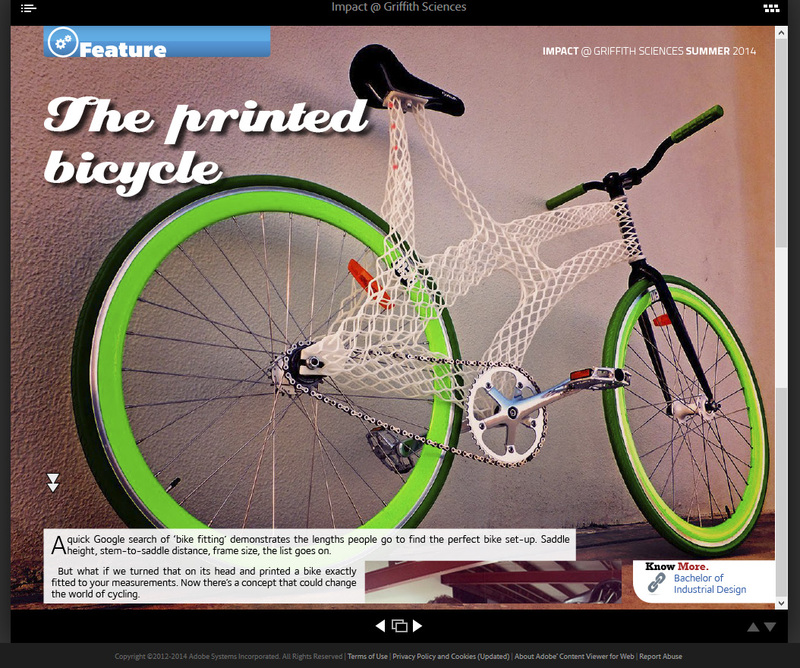 See the full i.Materialise article, along with the other winning designs here.